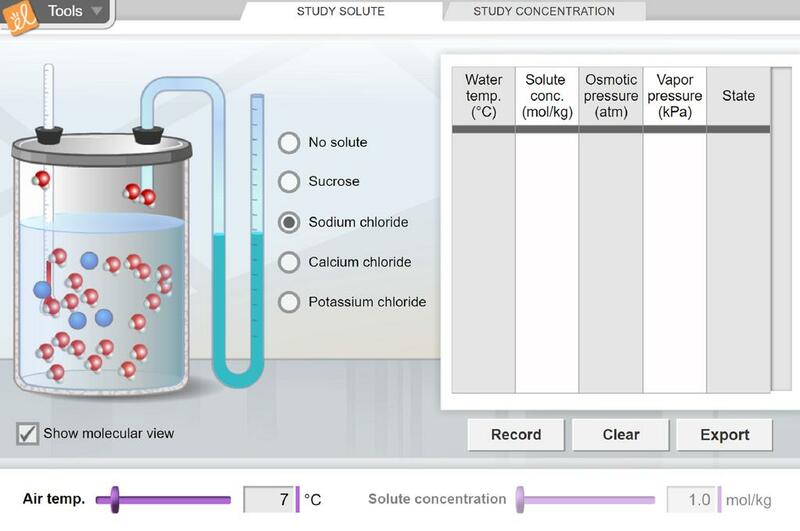 Determine how the physical properties of a solvent are dependent on the number of solute particles present. Measure the vapor pressure, boiling point, freezing point, and osmotic pressure of pure water and a variety of solutions. Compare the effects of four solutes (sucrose, sodium chloride, calcium chloride, and potassium chloride) on these physical properties.